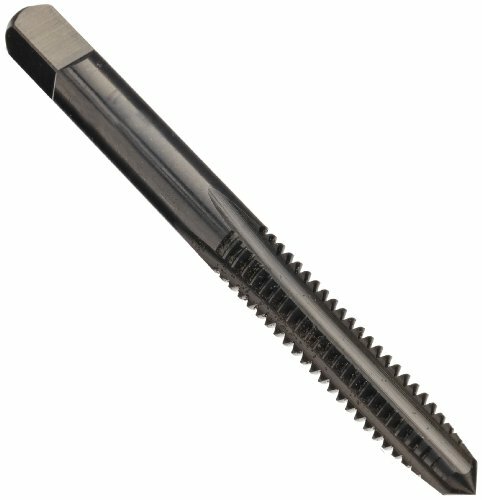 The Union Butterfield 3300(UNC)/3300(UNF) uncoated, high-speed steel thread forming tap has a round shank with a square end, lubricant grooves in larger sizes, and is used for cold-forming right-hand threads in ductile materials such as aluminum, brass, bronze, low-carbon steel, and leaded steel. It is available in two different ANSI thread specification standards: UNC (Unified Coarse) and UNF (Unified Fine). It is suitable for threading through holes (extending through the workpiece) and blind or bottoming holes (with only one opening). The Rol-Form design includes lubricant grooves in machine-screw sizes 6 and larger to improve coolant flow. Right-hand threads are designed to tighten when a head or nut is rotated clockwise (the most common threading direction). High-speed steel (HSS) is a common general-purpose steel for cutting tools and is compatible with a variety of materials. With no coating or surface treatment, this uncoated tool can be used on a broad range of materials and provide an economical alternative to coated tools. The square end shank helps to minimize rotation in the tool holder. 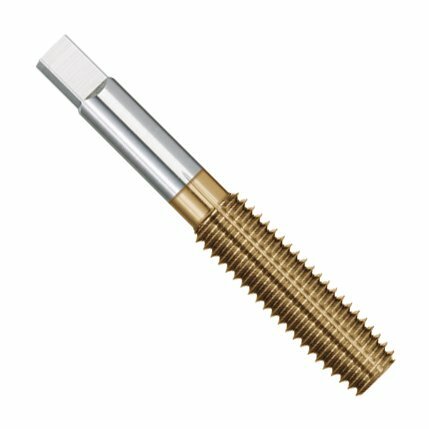 This thread forming tap can be used in machines such as drill presses or lathes. Union Butterfield 3300(UNC) and 3300(UNF) taps are available with a variety of chamfers. 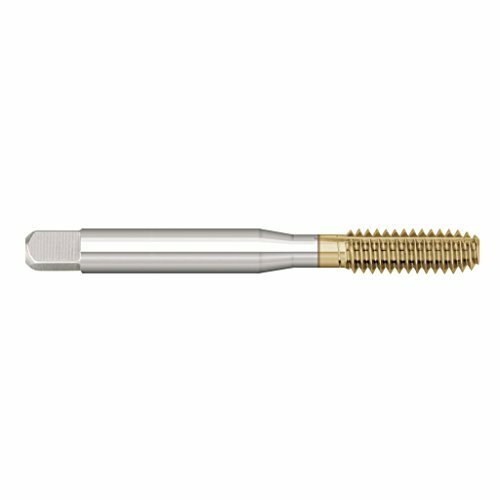 This tap conforms with ANSI standards and can create threads to a depth 2 times its diameter. It is suitable for ANSI 2B and 3B tolerance classes: 2B is an average quality fit for commercial and industrial fasteners; 3B produces close-tolerance fasteners that resist loosening, as in aerospace applications. 5/16-18 Thread Forming Tap .318" Shank 1-1/8 Thread Length 2-23/32" Overall Length H5 Limit Thread Forming Roll Threading Tap. YG-1 Z6 series vanadium alloy HSS roll form tap with oil groove. High-speed steel tools are good for most general purpose applications, offering a combination of hardness and toughness for wear resistance. 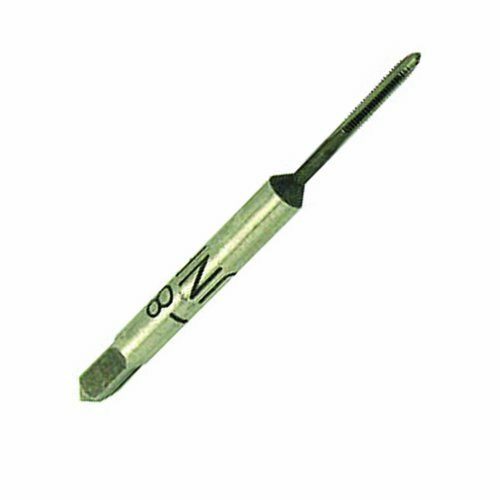 Uncoated tools feature just the base substrate without any additional treatment or coatings and are suitable for a wide range of applications. Round shanks allow use with a wide variety of toolholding systems. Straight flute tools allow chips to collect in the flutes as they cut and are well suited for most applications in shallow cuts. Right-hand cut tools have a cutting action that engages when they are run in a clockwise direction. Applications: Excellent for low carbon/free machining carbon steel, medium to high carbon steel, free machining stainless steel, pure aluminum/aluminum alloys, aluminum alloy castings, pure and alloyed copper, free machining brass/alloyed brass, zine, magnesium. WIDIA-GTD High Performance Victory Solid Carbide Forming Taps for high volume manufacturing where productivity is a focus. 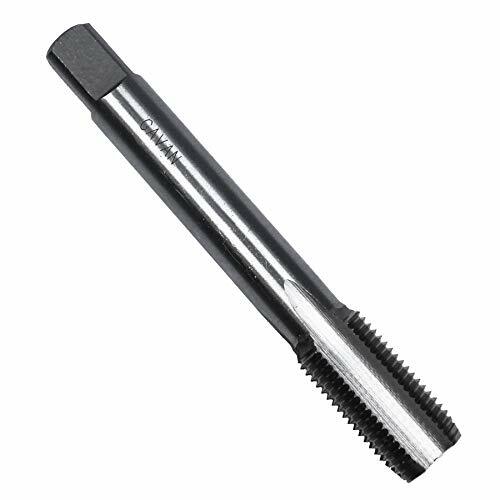 These form taps deliver highly reliable threads and superior performance. They are the optimum choice for customers who are looking for high productivity and long tool life for material specific applications. YG-1 ZD series vanadium alloy HSS roll form tap with oil groove. High-speed steel tools are good for most general purpose applications, offering a combination of hardness and toughness for wear resistance. Titanium carbonitride coatings are harder and more wear-resistant than TiN for improved tool life and faster cutting speeds. Round shanks allow use with a wide variety of toolholding systems. Straight flute tools allow chips to collect in the flutes as they cut and are well suited for most applications in shallow cuts. 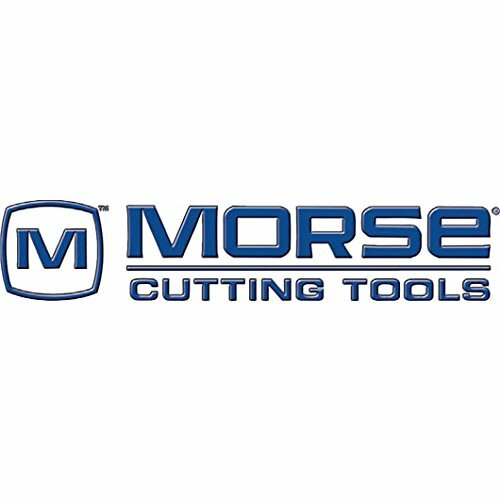 Right-hand cut tools have a cutting action that engages when they are run in a clockwise direction. Applications: Excellent for low carbon/free machining carbon steel, medium to high carbon steel, free machining stainless steel, pure aluminum/aluminum alloys, aluminum alloy castings, pure and alloyed copper, free machining brass/alloyed brass, zine, magnesium. Alfa Tools Thread Forming Plug Taps - High-Speed Steel, Ground Thread. Very effective in ductile materials such as aluminum, brass, stainless steel, copper, zinc, cast steel and alloy steel materials.